Crick Girls FC Under 12s are going from strength to strength. Not content with just being Northamptonshire County Cup winners in April, they won all but one of their subsequent leagues games. The girls have also had a successful summer tournament campaign and won the Daventry Super 6s Football Tournament last Saturday. 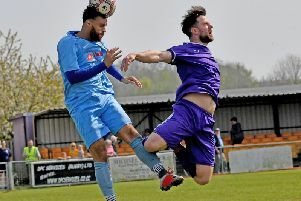 This was despite formidable opposition of large town teams like Corby, Warwick and Stratford and missing their goalkeeper and striker who were at the County trials. Alex did manage to get back from the County trials in time for both the semi-finals and final scoring the decisive three goals in total. Both Alex and Isobel (goalkeeper) have subsequently been selected for the County Squad to round off what has been an incredible and memorable season. # Crick Girls FC has now formed an U9s team with the recruitment of coach Giles Hill from Lutterworth and a ladies team (open age minimum 16 years).